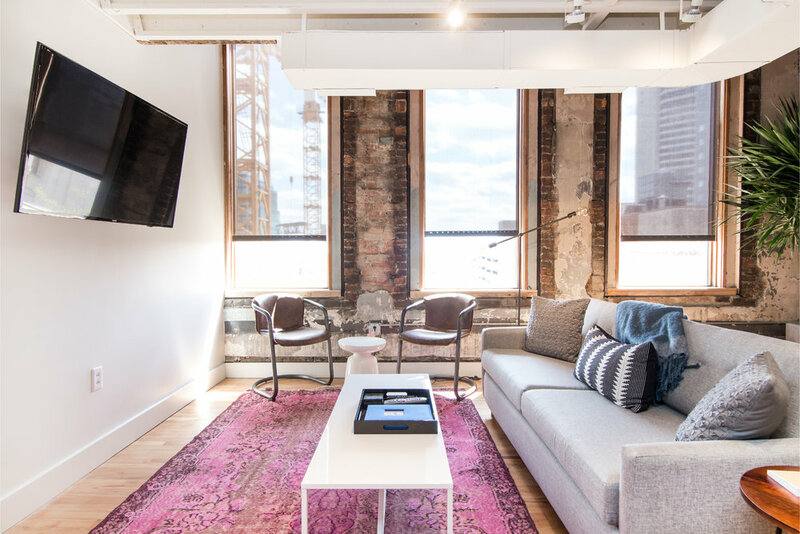 506 Lofts provides the best vacation rental experience in Downtown Nashville. With an average rating of 4.9 stars (near perfect) on Airbnb and over 700 reviews, we have been exceeding guest’s expectations since early 2016 as recognized by our 6 time consecutive Superhost award! We cannot wait to exceed yours. Most importantly, you can feel good about your stay knowing that a percentage of our revenues go to provide a warm bed and meal to people less fortunate than you. The average weekend stay at 506 Lofts provides over 15 meals and room nights at The Nashville Rescue Mission! Check out our giving section to learn more. Sign up to receive our free Nashville Guide and start planning your trip!